Welcome to Sarah's Got Style! I'm a 30-something living in a little apartment in Tulsa, OK with my husband Tanner and our two cats, Betty and Bernadette. Sarah's Got Style Fashion. Home Decor. Lifestyle. It's Wednesday, which means it's my day off work! Today was super nice for January - about 50 degrees and sunny most of the day! Unfortunately, tomorrow the temperature starts going down and this weekend will be incredible cold! But at least I got to enjoy some nice weather while I was off work! 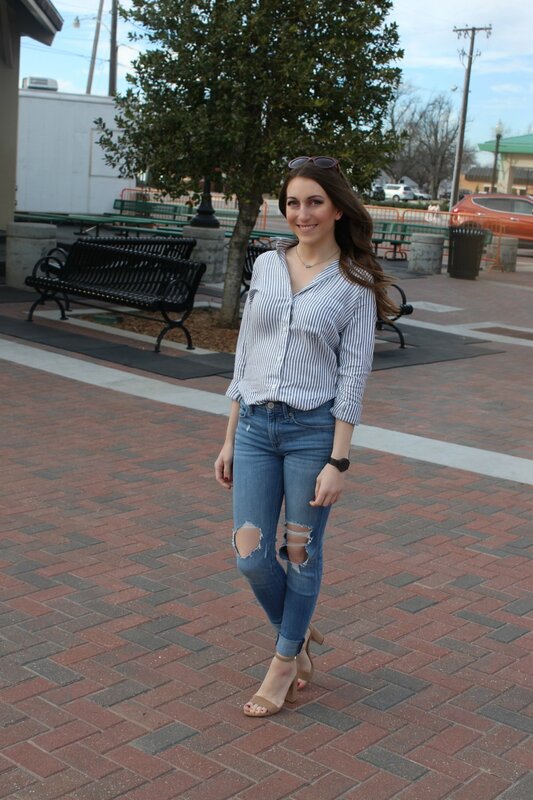 For my OOTD, I paired this classic button down top from Old Navy with some of my favorite jeans! I love how this shirt looks tucked in, and it would also be super cute to just tuck the front in a bit and leave the back long! 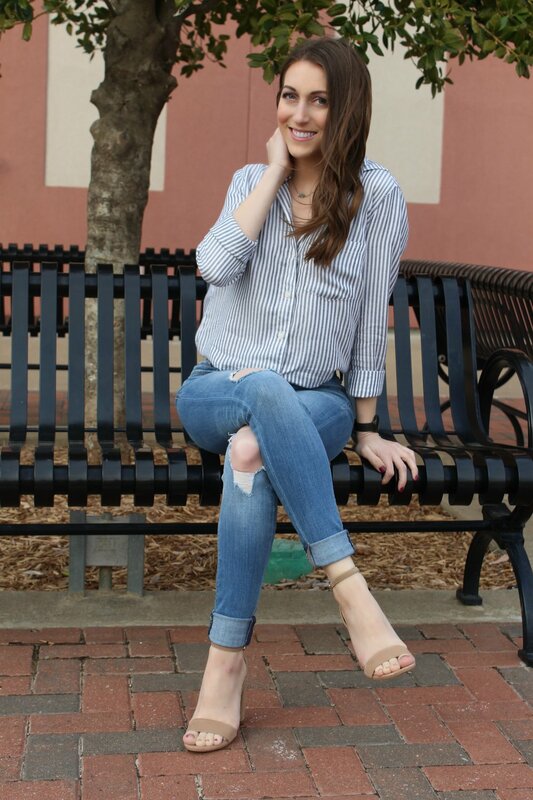 I feel like you could wear all different styles of shoes with this look, depending on whether you wanted to make it more casual or not - booties or flats would look great!